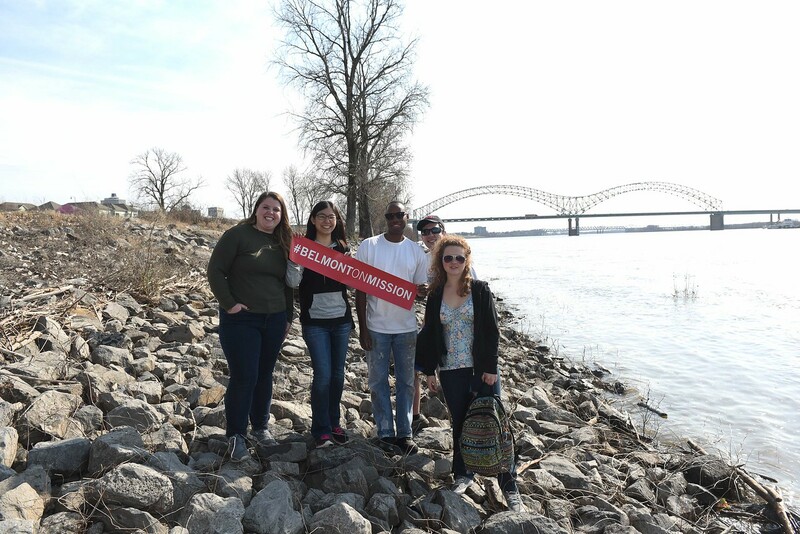 Belmont Serve901 Missions trip in Memphis, Tenn. March 7, 2017. For many college students, “experiential education” translates into internships, study abroad trips, research and other practical, hands-on means of learning. Belmont University certainly offers all of those opportunities, but as part of the University’s vision to be a Christian community of learning and service, Belmont goes a step further. Through University Ministries and academic departments alike, students are presented opportunities to explore and strengthen their faith in meaningful ways through mission trips in the U.S. and abroad. Frequently, as is the case with many health care-related missions, the trips are tied to academic pursuits, allowing students to see how their chosen field of study can impact places and cultures they never before imagined. Just last year, 250 Belmont students engaged in mission-oriented experiences with trips ranging from tutoring at an after-school program in downtown Chicago to leading songwriting workshops in Zimbabwe to providing a free health clinic in Jamaica. University Ministries provides countless opportunities to serve as well, including many programs that are held within the continental U.S. and occur over Fall Break (Plunge trips) or Spring Break (Immersion). The most recent Spring Break trips included students serving in a variety of settings. While one group worked in an orphanage in rural Kentucky, others dove into assisting disenfranchised populations in urban areas in New York, Los Angeles, St. Louis and Memphis. My Movie 3 from sam simpkins on Vimeo.